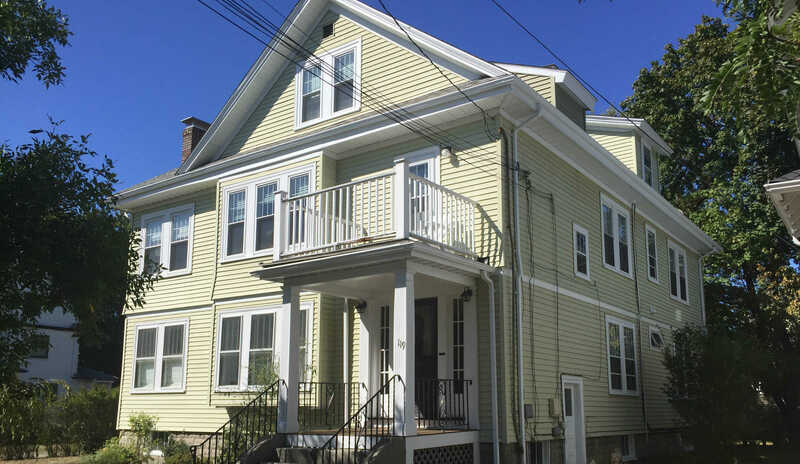 This multi-family home in Arlington had aluminum siding that was in great shape but heavily soiled from years of dirt and soot accumulation due to being on a busy main street. After a thorough power wash of the whole house including some hand scrubbing of the soffits, we were able to clean the siding and restore its shine. In addition, we also painted the trim and restored the entrance way by stripping down layers of previous paint in order to achieve a smooth, like-new finish.